Humans are creatures of habits. By analyzing your behavior you can pinpoint your bad habits and more particularly, the isolated actions that are holding you down. Doing the later, you can cleanse the self-sabotaging behavior, replace it with such that acts for your interest, and finally thrive. 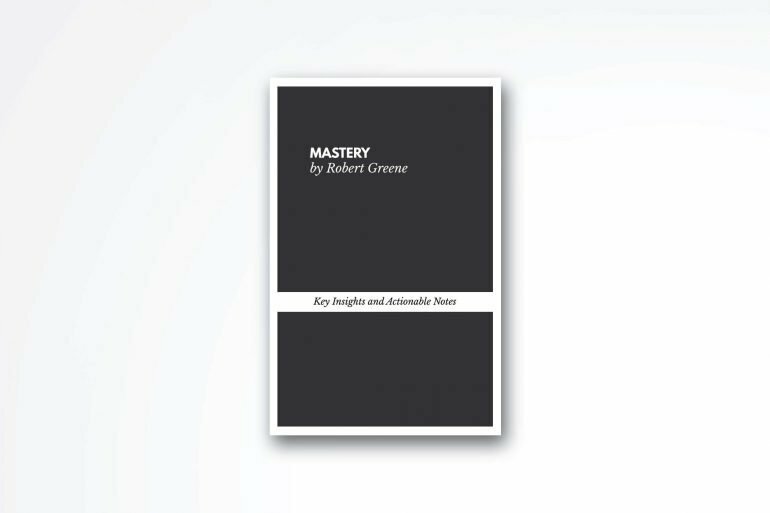 Healthy habits are the cornerstone of a successful, happy life and what the author is sharing in The Power of Habit is surely something you’ll want to master. You don’t need to make drastic changes in your life if you want to lose weight or if you want to stop smoking, you simply need to replace your current routines with such that will work for your interest. Or in other words, replace bad habits with good ones. Lesson #1: Why Habits Are Formed? If you think about your daily actions. Like, really think about all of the things you’re doing in a single day, you will quickly understand that in a lot of occasions during the day you’re executing really complexed tasks without ever thinking about them. We can take driving for example. You’re driving, parking the car, maneuvering around other vehicles on the road, shifting gears if you’re driving a stick without giving much thought about all of those things. But it wasn’t always like that, wasn’t it? When we’re learning to drive we’re super focused and some of us can’t even listen to music while they are behind the wheel because they can’t concentrate. I took me a couple of months till I finally figure out how to shift gears without giving too much pressure on the car. Now, I do it automatically. I don’t even think about the gears, I know when to switch. I’m sure you can relate. So, how tasks that previously took us months to master are now executed on the background? According to the research in the book, habits occur because the brain is constantly looking for ways to save energy. Basically, our brain is trying to automate pretty much everything we do because this will leave him more time for rest. More time for rest equals better chances for survival. It’s that simple. Having said that you can quickly understand the importance of habits in our lives. If we “teach” or brain to do stuff that are not so beneficial for us in the long run, we’ll surely fail in life. Meaning, we won’t get that dream job, dream body, or succeed in the business we’re hoping for. On contrary, if we train ourselves to have beneficial patterns, we’ll succeed in every endeavour. Forming and building permanent habits has a lot to do with our decisions. Before a certain behavior is formed and before it becomes automatic, we first have to make a decision. When this decision is repeated a couple of times, it then starts to become an automatic behavior. Or in other words, a long-lasting habit that’s hard to break glues in the back of your brain. If every time you walk pass the fridge you decide to take a biscuit your mind will record the steps. If you do it a couple of times your mind will then prompt you to open the fridge whenever you pass near it. Because, this is what you’ve been doing for the last 10 times. I had this nasty habit when I was little and living with my parents. I opened the fridge to check if there is something sweet to eat. When there was, I ate. I did it for years. Sometimes it felt like in a dream. I get up, go to the fridge, take something, and while I eat I “wake up” and see that I’m holding a cake. No wonder I wasn’t able to lose weight for years. To be honest, I still have that habit even today. When I visit my parents I walk to the fridge and I open it without even thinking about going to the fridge. It’s an automatic action stuck in my head. I don’t even take anything from it. I just go to the fridge and check what’s inside. This simple decision – opening the fridge – later created this nasty behavior. Instead, I could have said no to sweets and fridges and continue doing what I was doing. So, if you want to break a bad habit or stop some sort of repeated action that won’t be so helpful in the future make sure to acknowledge what you’re doing before “opening the fridge.” Understand that you control the situation and the decision you’re going to take in a couple of seconds will be crucial for your future success. In short: say “No” to things that don’t bring any value to your life. The brain has invented a simple system in order to distinguish things that are happening around us so it can consume less energy. Basically, the brain is looking for some sort of a signal before start giving commands to the body. Here’s a simple example: We see food, we eat. Seeing food is the cue. Other times feeling hunger is the cue. The stomach is trembling, we search for food. The cue acts like an activator and once the brain sees it, it plays the predefined action: We see food (cue), we start eating (action which becomes routine). The process running in our brain is a three-stage cycle. It starts with the cue, which basically tells the brain to switch to automatic mode. The cue will tell the brain what behavior to choose. After that the routine action kicks in, which can be physical, mental or emotional. Finally, we get the prize. If the prize is worth it, the brain will save the cycle for a later use. The more we repeat a certain cycle, the more it becomes part of our lives. At some point, we don’t even think, we see the signal and this triggers a behavior. Imagine a sprinter who hears the sound from the gun. The judge fires the gun and he starts running as fast as he can to the finish line. Once I read this in the book, I finally understood why I’m reaching for my phone when I wait in line, or when I don’t have anything to do. It’s because I’ve executed this task thousands and thousands of times: I see people waiting, I reach for my phone. I feel good after seeing funny pictures and colored notifications inside my social media account. Automatic action: Reach for my phone. Prize: Feel good after reading posts or looking at funny photos. Since the prize in the above scenario feels good, my brain records this action for later. The solution to remove this pattern in my life? Habits are not an easy opponent to beat. Forming a new habit on top of an old one or replacing a bad one often feels like an overwhelming task. To be absolutely honest, it is. There are a lot of articles and programs about habit change but the simplest rule is shared in the book. Basically, you keep the signal that triggers the automatic behavior and also the prize, the only thing you change and adjust is the actual routine action. Let’s take eating for example: If when you’re hungry – which is going to be the signal – you mostly eat junk food to satisfy your hunger (the prize), you only need to adjust the middle. It’s super simple, right. Instead of eating a burger, you can prepare a salad. The process is unchanged. You only switch the previous automatic behavior with a new one. Sounds super simple but it’s actually not, right? How many of you have tried replacing a burger with a salad and they’ve failed? I’m surely guilty of the above. So, it should be somthing more to the above, right? Make it easier for you to eat salads. If everytime you’re getting a burger on your way home you need to change your route. This will add additional obstacles for you, thus you’ll be less likely to get a burger. If you want to eat more salads you need to be sure that your fridge has all the ingredients for a salad. If you want to stop the automatic action when you’re waiting in line or your bored – the above case I mentioned – you need to either stop bringing your phone with you or delete all of your social media apps. According to the author of the book, some habits have the power to cause a chain reaction and change other habits. It’s imposible to transform your life overnight. Have good body, get promotion at your work, be and feel heathier. You will need time. Still, changing a single aspect of your life can help you create this momentum which can eventually transform your life for revetavelly short period of time. For instance, if you exercise regularly this will surely help you be healthier. You will most probably choose to eat salads over burgers because you don’t want to waste the efforts you put in the GYM. This persistence will eventually make you more responsible human being and help you thrive in other aspects of your life. I’m exercising every-single-day for the past couple of months and this single habit helped me become more focused and also feel better in my own skin. I’m more confident in the decision I make which is also helping when I talk to other people. So basically, if you’re looking for some sort of a change, if you hate your life, you have money problems, don’t try to change everything for a day or two. Start with simple steps. Change one aspect of your life and go from there. Break the habit into pieces: If you posses hasty habits which you want to get rid of, break them into pieces. Do your best to understand what is triggering the habit in the first place. We often smoke or drink because we’re bored or we want to feel better about ourselves. Alcoholics long for a drink because it offers them escape from their current reality, people, the job they do. It blocks their worries for a while. Instead of drinking, try socializing. Connecting with other people, sharing your worries. Whatever it is, start facing your problems instead of avoiding them. Plan for the worse: Let’s say you’ve set a goal to train every single day. You get up, you train, you feel good. You follow this routine for a couple of weeks but at some point, something interferes with your routine. For example, your wife gives birth. At this point, exercising in the morning might not be possible anymore. Or, you need to work later for a couple of days. Sometimes such interruption in our daily schedule can break our good intentions. That’s why you need a contingency plan. Workout only for 5 minutes. Do a couple of pushups. It might be small but it will help you keep your habit. Start with changing one habit: Regardless of your desires for the future, if you want progress start small. Change only one habit. Change something small and make adjustments along the way. The idea is to be persistent and don’t break the chain. If you want to lose weight, for example, add a checkbox every time you exercise. The more checks you have without interruption the more you’ll want to keep them coming. Probably one of the best books about habits. I was able to read the whole book in just two days and I was super impressed by the writing style of Charles Duhigg. It’s full of examples and real life stories that enhance what the author is trying to make as a point. The book is basically a framework for understanding the mechanism of habits. Charles Duhigg uses research to explain how habits are formed and changed. Everyone knows someone who was out of shape, or was a smoker, and then in what appeared as if almost overnight, changed themselves in a short period of time. How did they do that? They formed new habits and changed old ones, that’s how. Totally recommend this book and the info inside. Especially to those of you who have some time-wasting addictions that aren’t bringing any real value to your life. 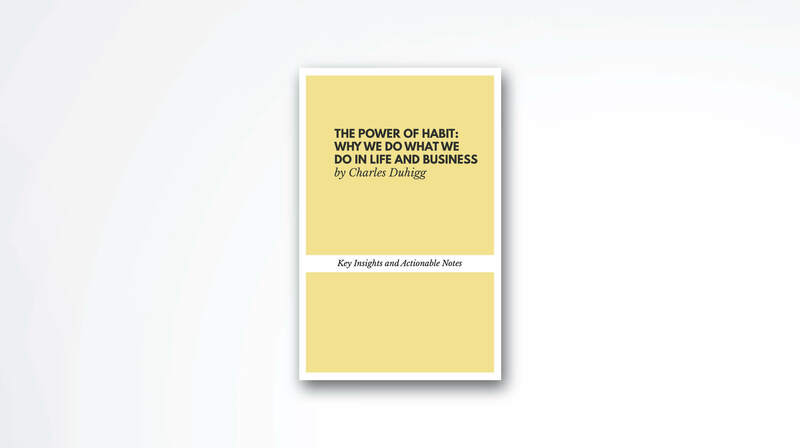 I’ve read something today: Book summary of The Power of Habit by Charles Duhigg. What did you do online?